As Hillary Clinton and Donald Trump take the stage tonight for their final debate, one thing they can both agree on is the fact that America’s surge in natural gas production, which has driven down prices, is bringing manufacturing back. Only a few years ago, the United States watched manufacturing jobs get shipped overseas. In fact, some of the hardest hit areas were in Pennsylvania, West Virginia and Ohio, leaving the tristate, typically defined as the “Rust Belt,” suffering economically. But then fracking came to the Marcellus and Utica shales and everything changed. Within a few short years, vacant plants along the Ohio River were given new life and thousands of new jobs were created. In 2014 PricewaterhouseCoopers put out a report, which stated that the annual cost savings to the manufacturing sector from shale gas could mean $22.3 billion by 2030 and $34.1 billion by 2040. 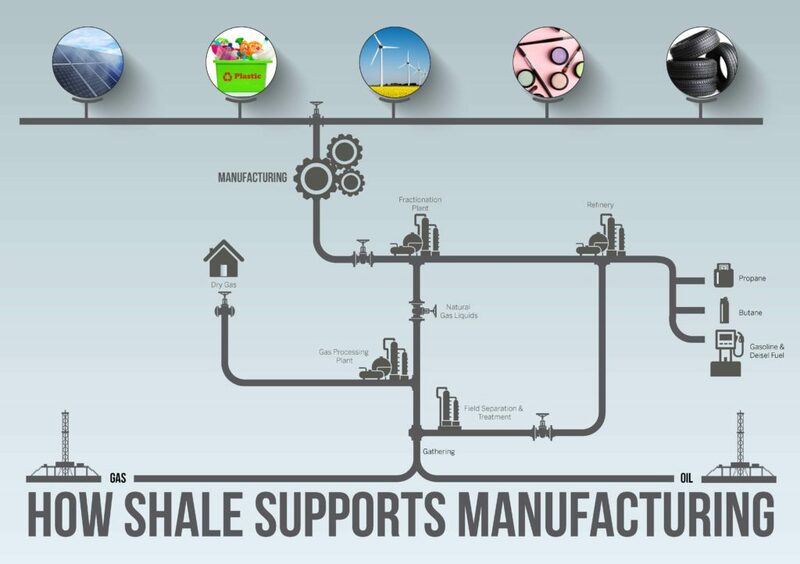 This saving, in turn, would lead to 930,000 shale gas-driven manufacturing jobs by 2030 and 1.41 million jobs by 2040. Without oil and natural gas, developed by fracking, the manufacturing of numerous products, including wind turbines and solar panels would not even be possible (ethane and propylene are used to make renewable infrastructure). This is a fact with anti-fracking activists conveniently and routinely ignore. The promise of job creation is already proving true in Ohio: steel is again being manufactured, and resurgence is occurring up and down the Ohio River as the manufacturing industry is coming back to life. Natural gas production from the Marcellus and Utica shales and the intersection of these technological advances in manufacturing has not gone unnoticed, which is why companies are investing billions in ethane crackers along the Ohio River. In preparation for this manufacturing rebirth, Ohio and Pennsylvania have encouraged investment in innovative technologies, like 3D printing. 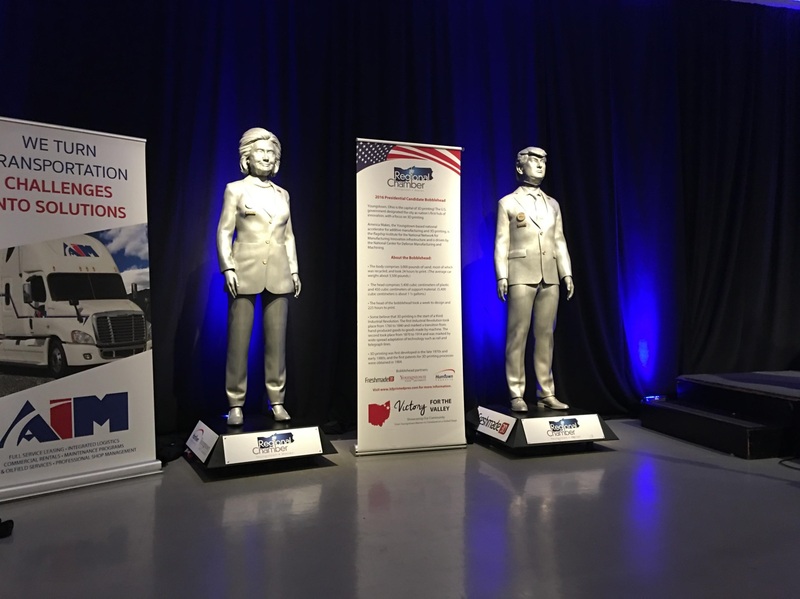 To highlight this point, the Youngstown Regional Chamber, Youngstown State University, Humtown Products, and Freshmade 3D joined forces to show just how innovative manufacturing plastics has become by creating life-sized 3D printed Donald Trump and Hillary Clinton bubbleheads, manufactured from sand, and fiberglass (a petroleum based product). To watch how this technology works, click here. 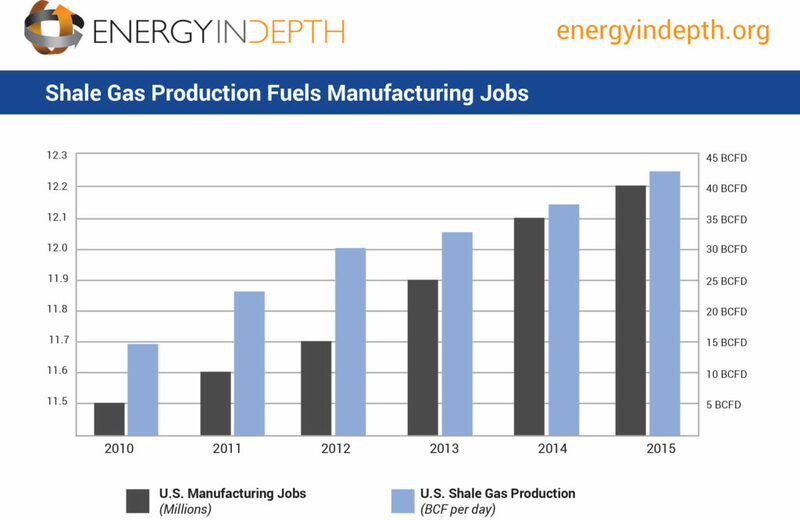 Both Democrats and Republicans agree: shale production is fueling manufacturing – and that means jobs are surging back.